These little doily butterflies are beautiful and they’re the perfect DIY Valentine’s Day project. Get the large paper doilies and you’ll need a few additional supplies like pipe cleaners and empty toilet paper tubes. 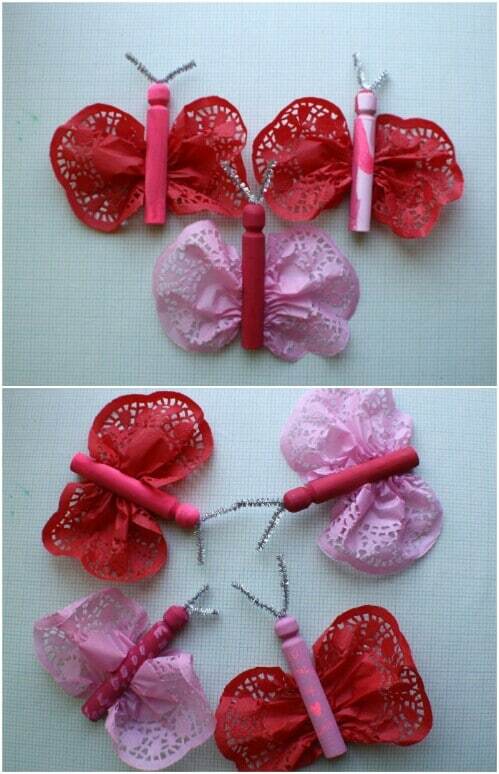 These little butterflies really do not cost much to make and they’re really easy, too. There is some painting involved, so this is best done with adult supervision.